The thing about pizza is that it's pretty much perfect anytime of the year. During spring and summer, there's even more veggies to pick from to put on top of them. I made this really delicious pizza with my super easy pizza dough. 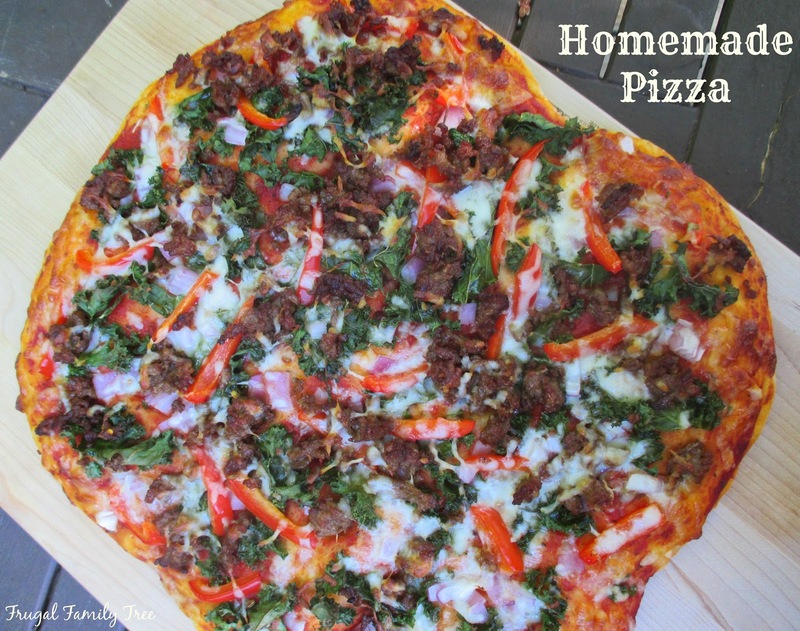 Along with Italian sausage, I used bell peppers, red onions, kale, and mozzarella cheese. I just really love this easy to make pizza dough, and the recipe easily doubles to make two pizzas. You can also use half regular white flour, and half whole wheat flour to give it an extra healthy boost. Cook sausage over medium heat, breaking it up as it cooks. Cook through thoroughly. In a medium bowl, dissolve yeast and sugar in warm water. Let stand until creamy, about 10 minutes. Stir in flour, salt, and oil. Stir until smooth. Let dough rest 5 minutes. Turn dough onto a lightly floured surface and pat or roll into a round. Sprinkle with extra flour if the dough is sticky. Transfer crust onto a lightly greased pizza pan. 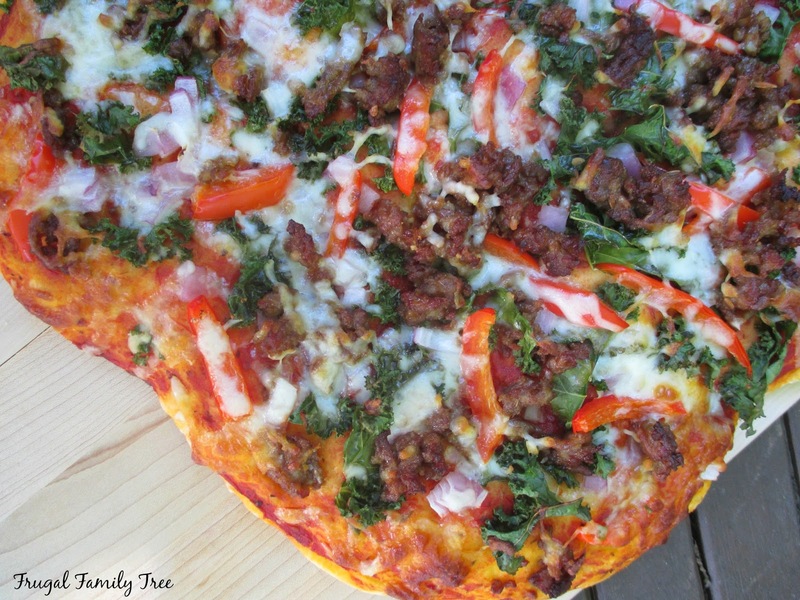 Spread a medium layer of pizza sauce on dough, and lay on kale, red onion, bell peppers, and sausage. Top with cheese. Cook in the oven for 20-22 minutes. Makes a large size pizza.